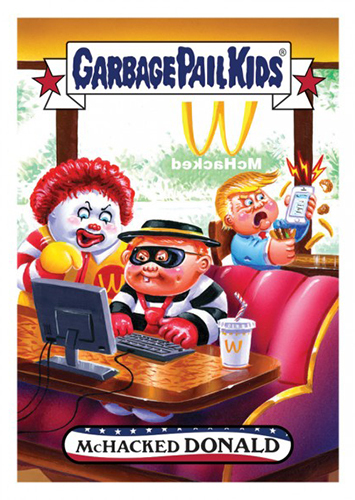 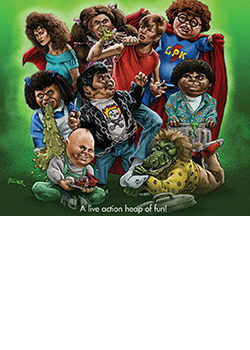 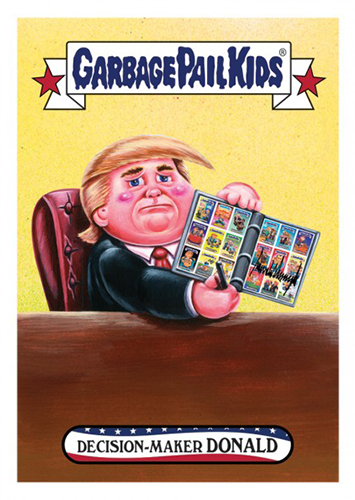 Donald Trump and his ascension to the White House have been fodder for many Garbage Pail Kids. 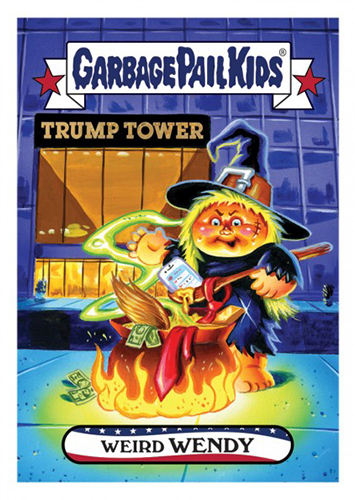 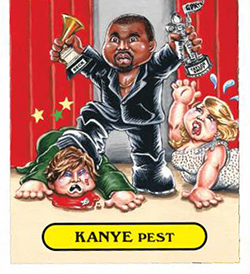 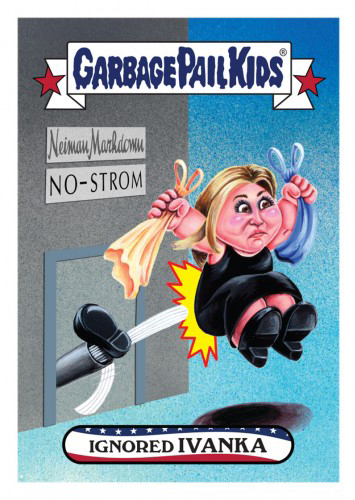 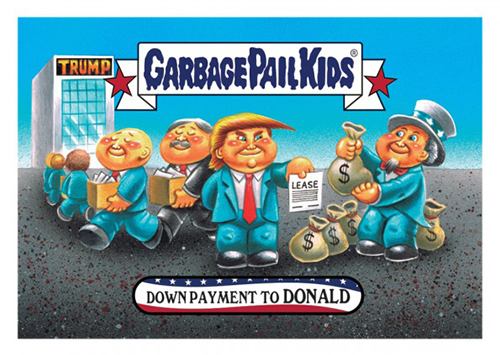 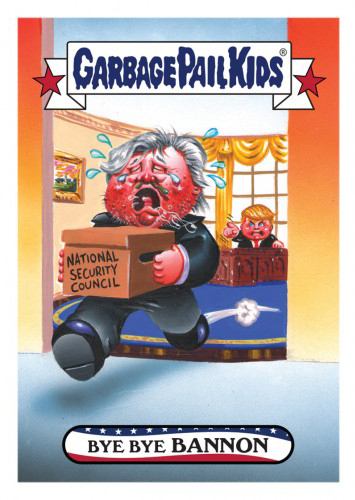 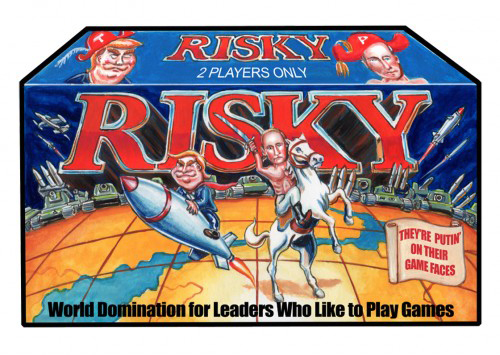 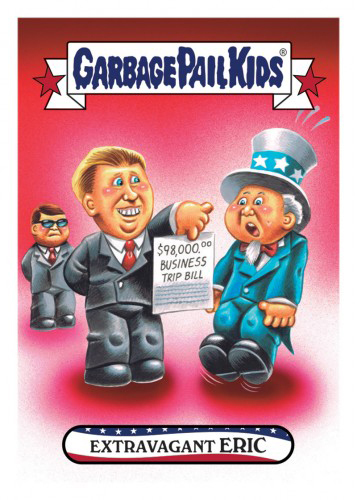 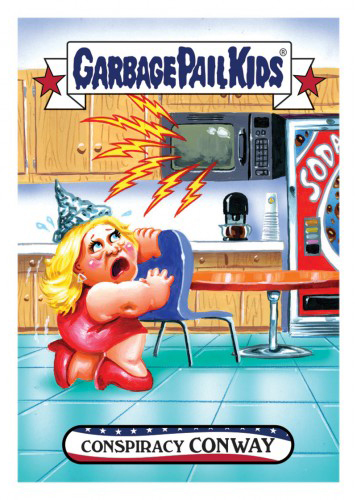 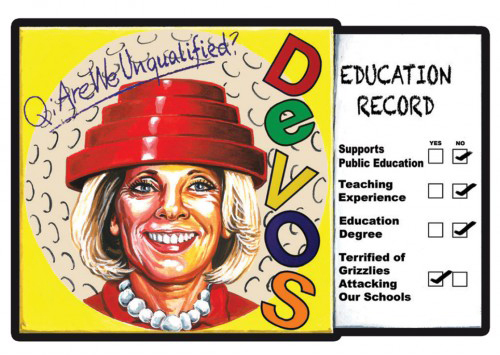 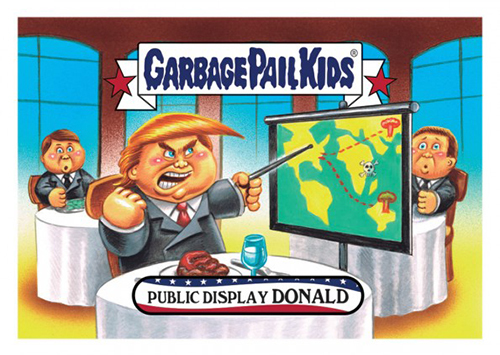 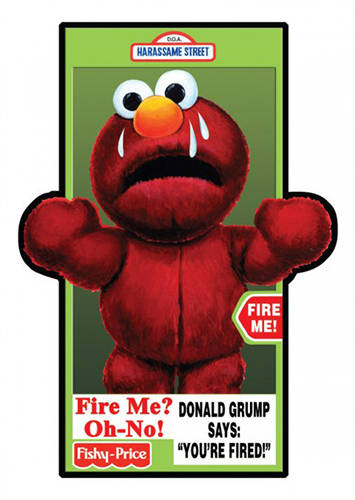 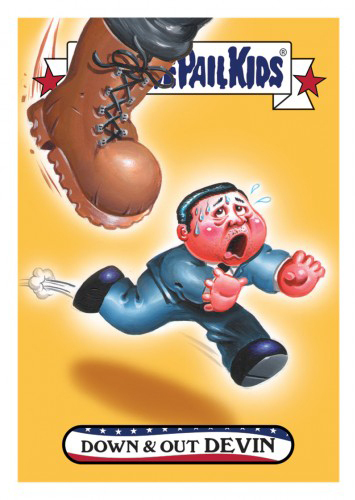 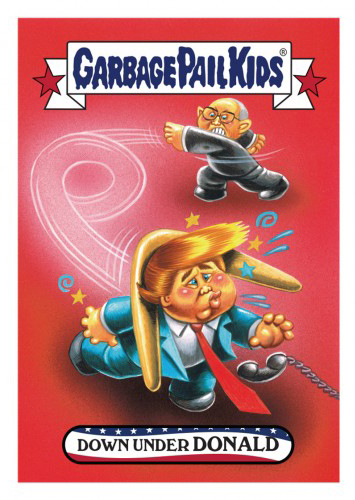 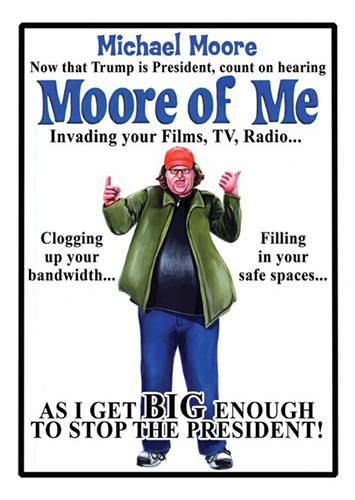 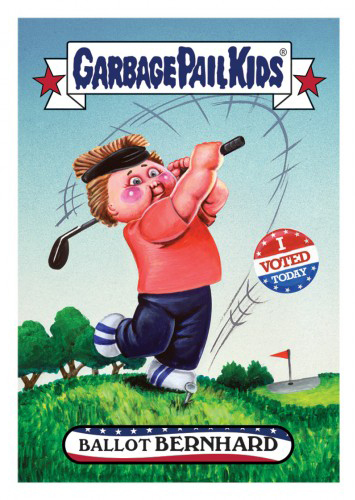 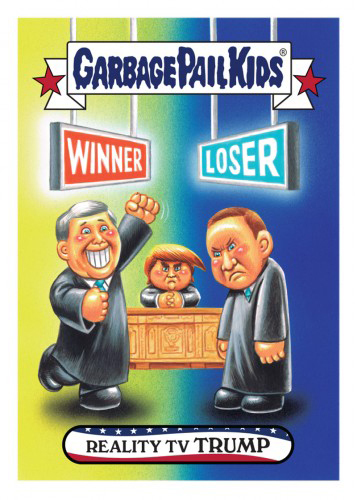 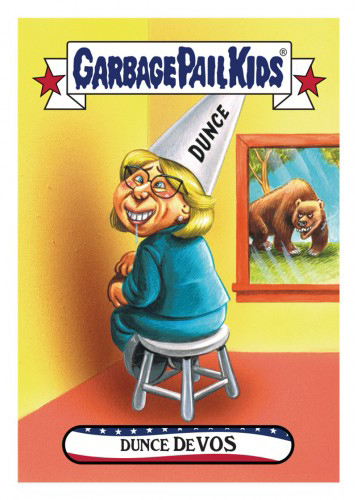 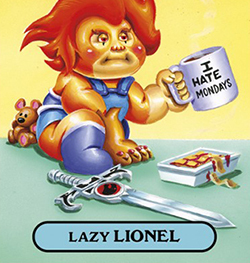 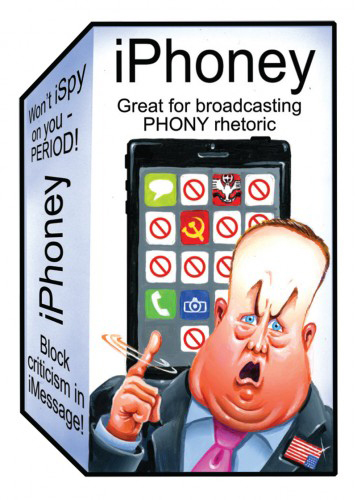 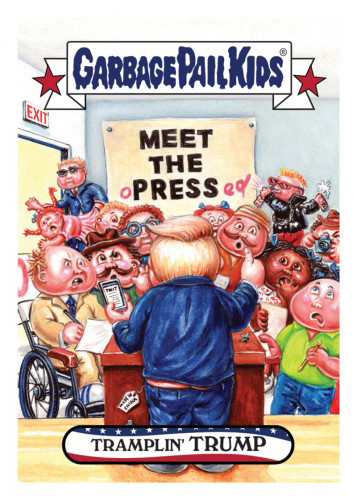 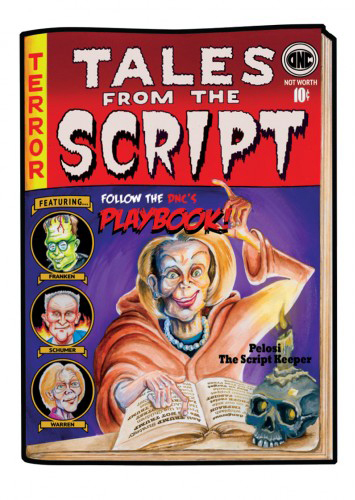 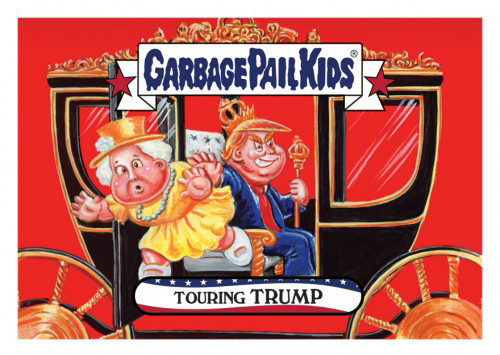 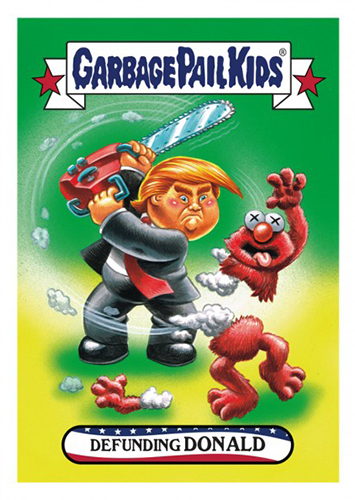 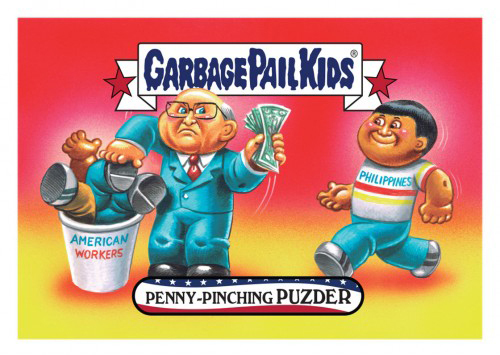 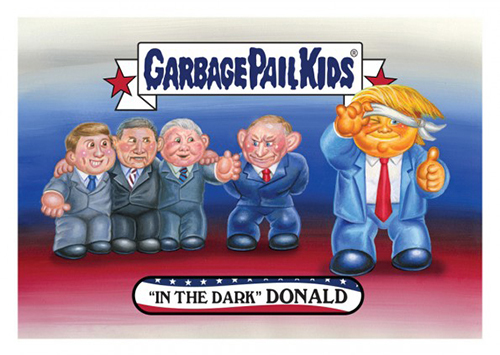 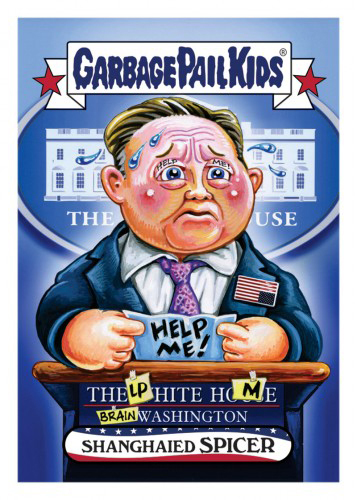 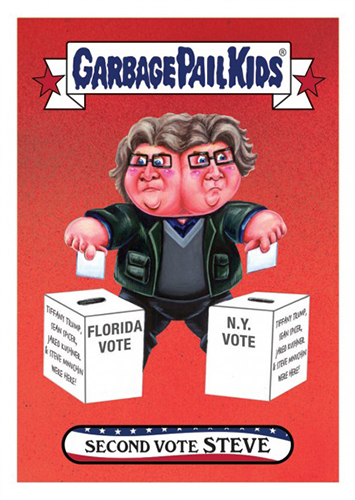 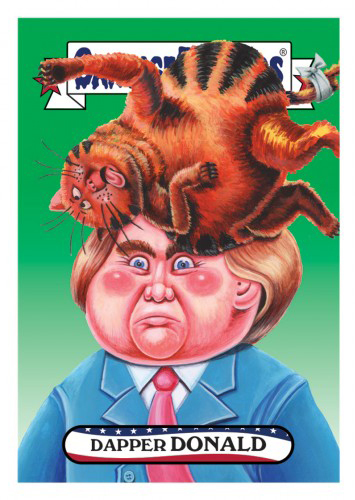 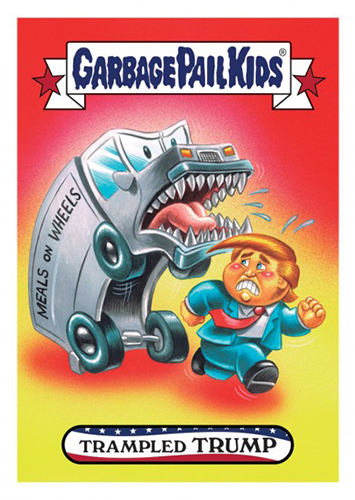 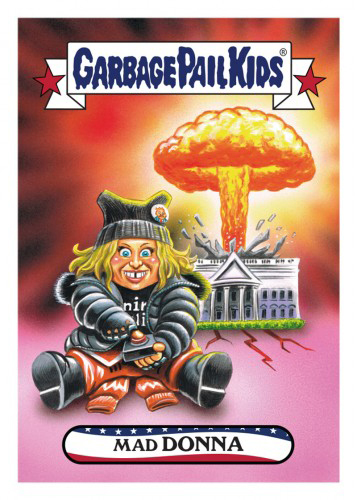 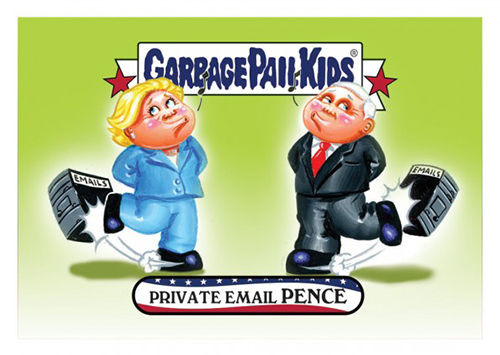 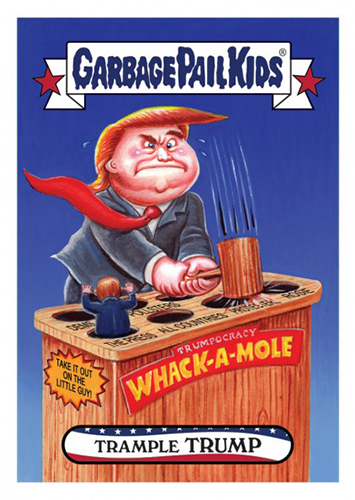 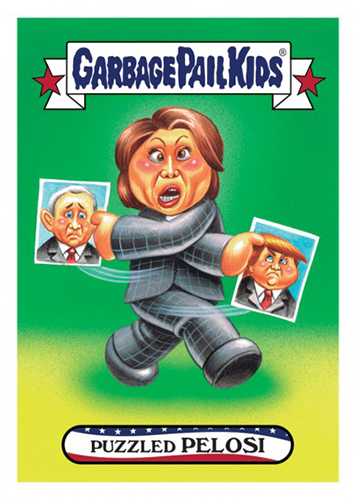 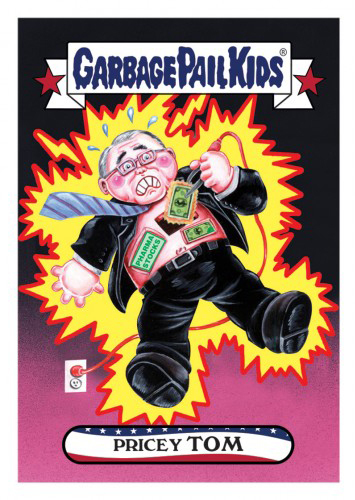 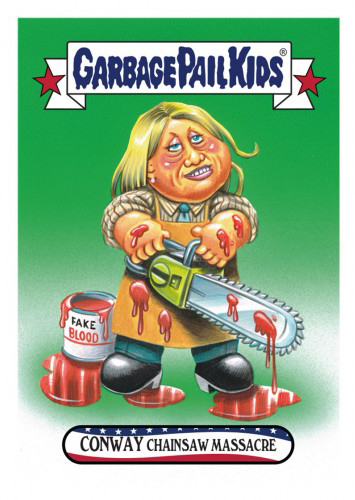 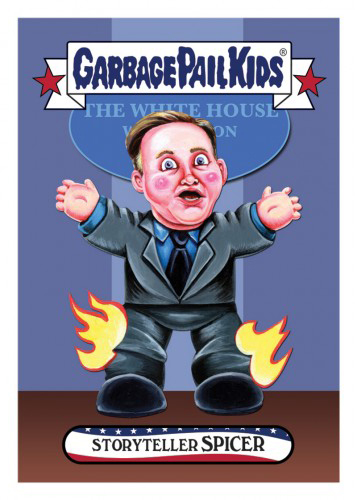 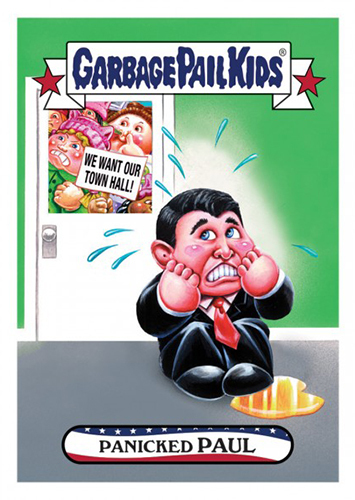 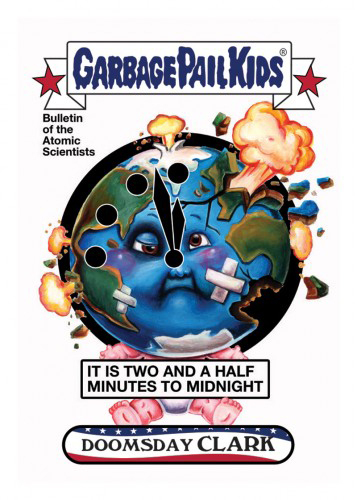 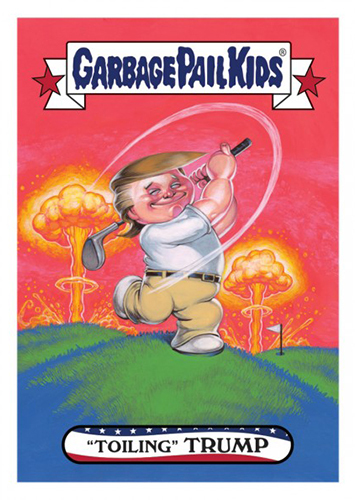 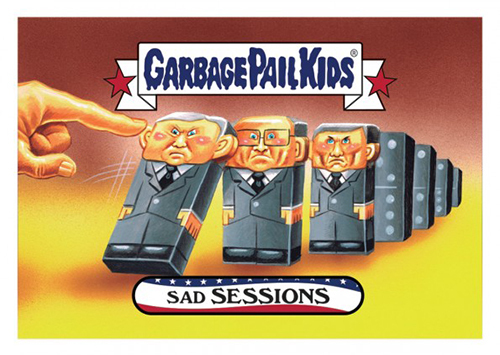 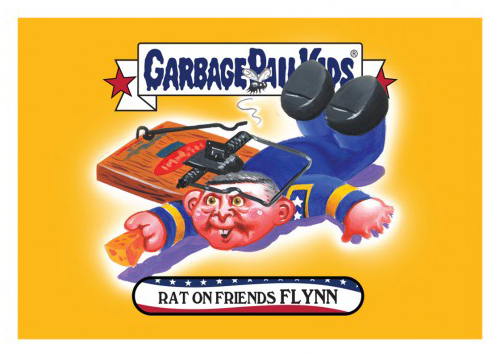 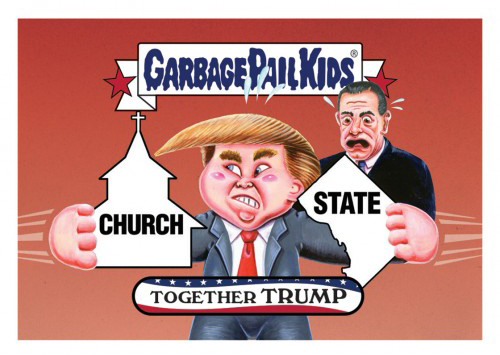 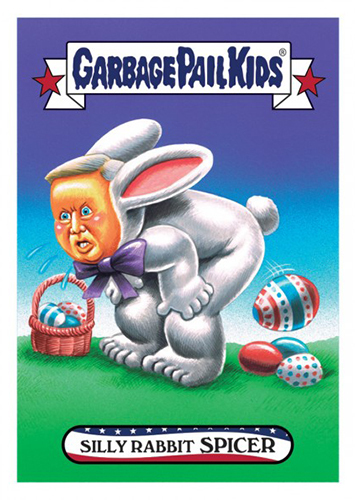 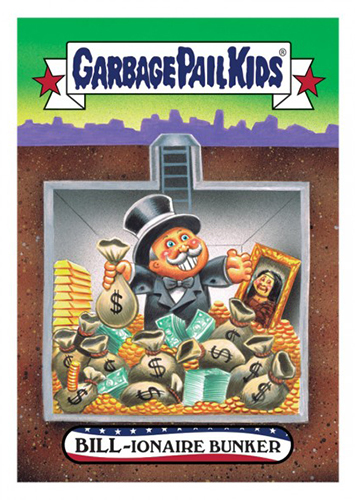 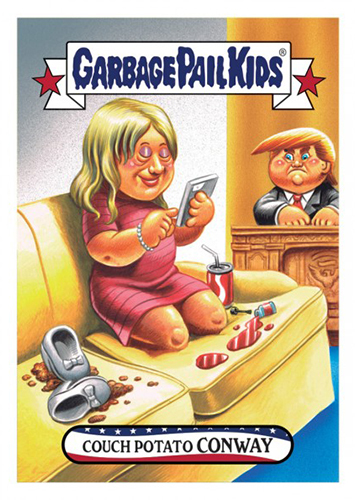 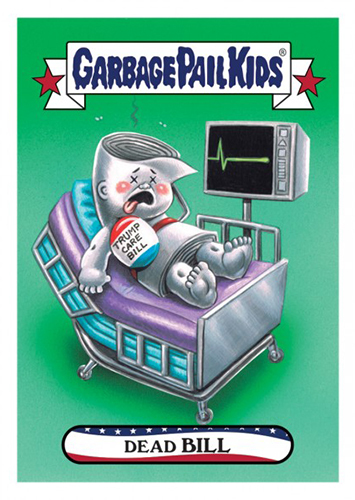 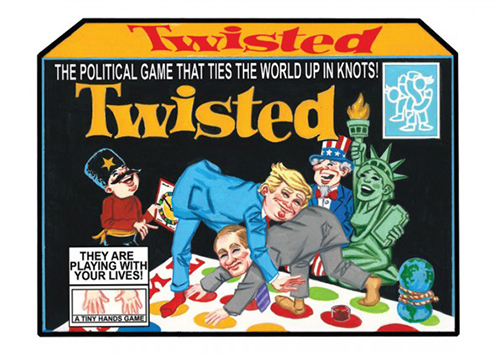 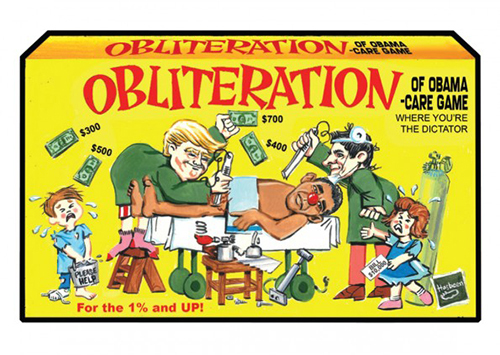 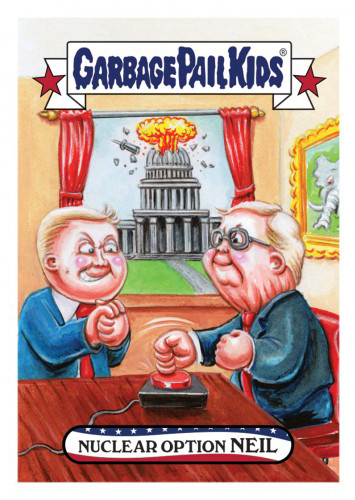 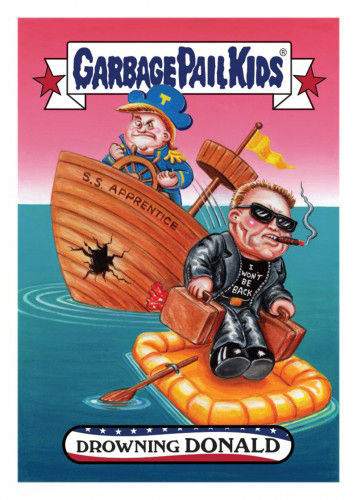 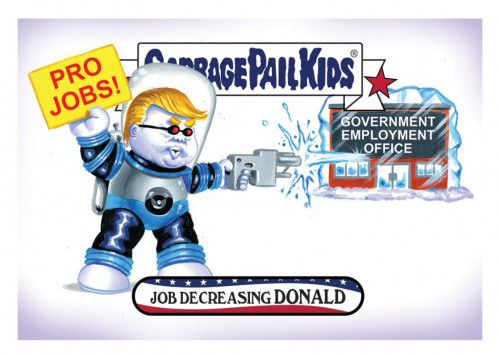 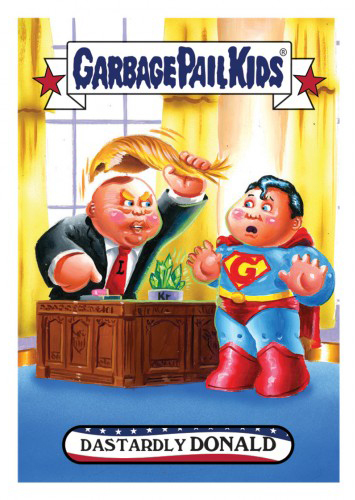 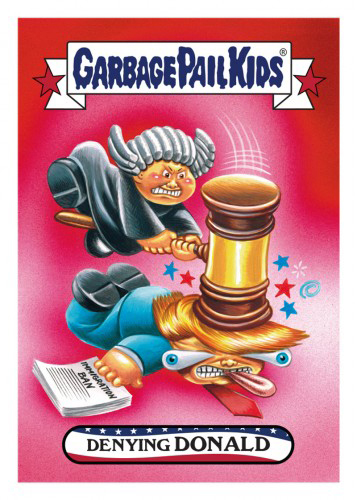 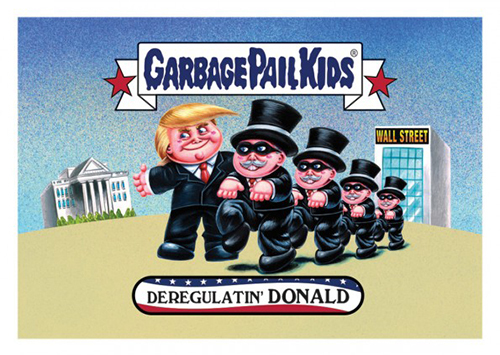 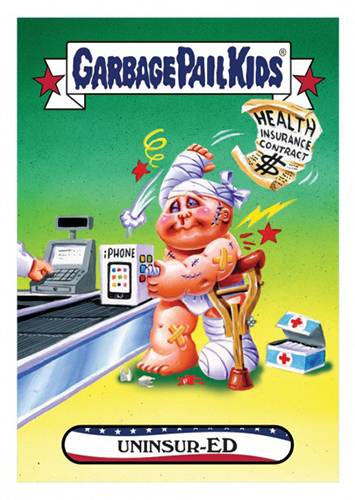 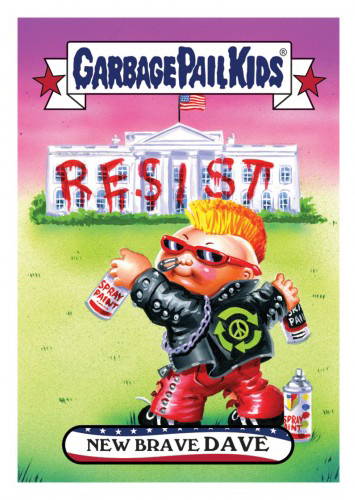 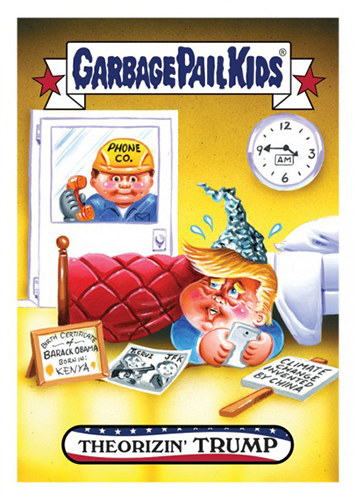 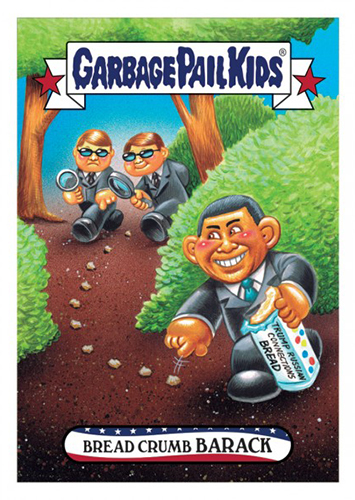 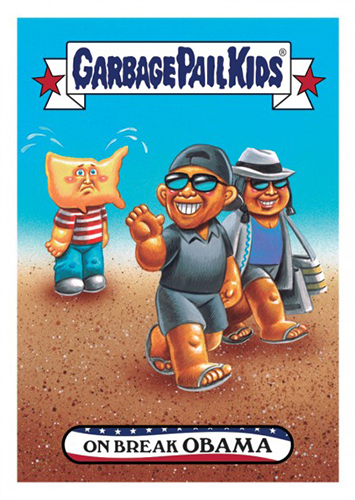 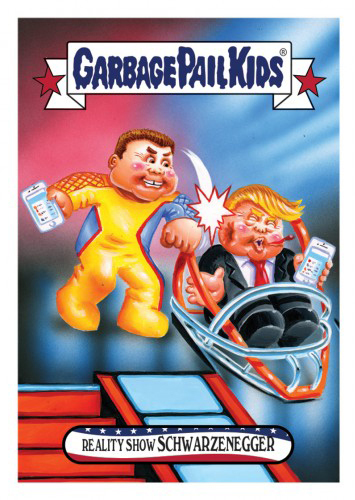 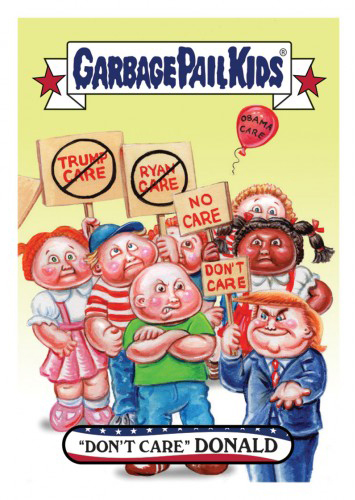 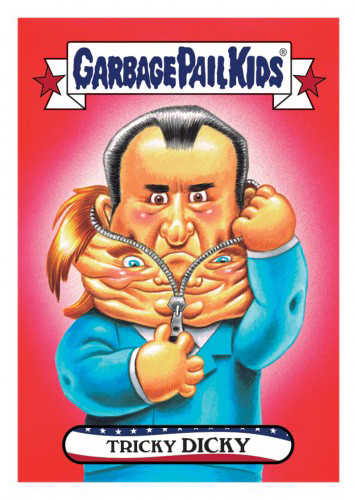 Cards for the primaries were followed by GPK DisgRace for the White House, which topped more than 150 cards. 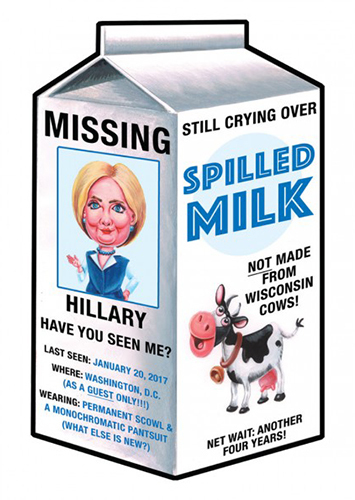 The latter included Hillary Clinton’s campaign, but Trump and company took the majority of the checklist seeing as how it continued well after the November election. 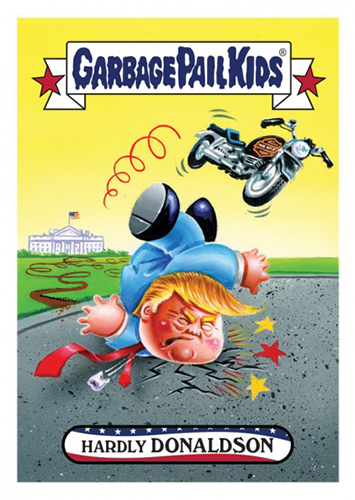 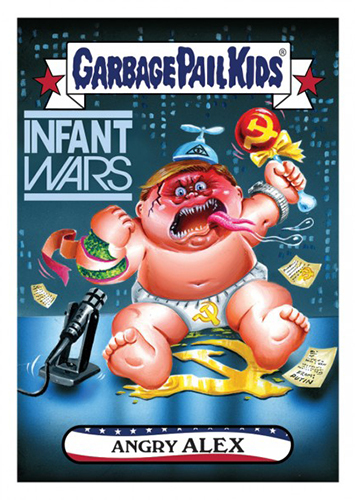 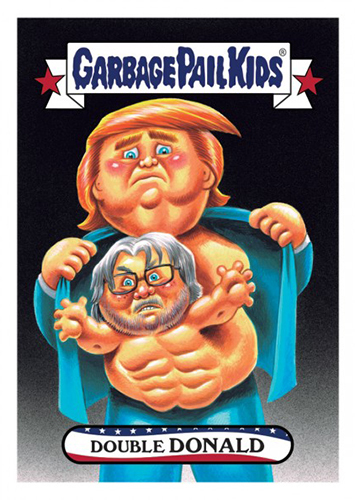 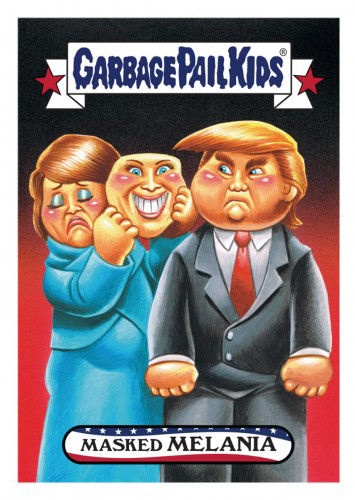 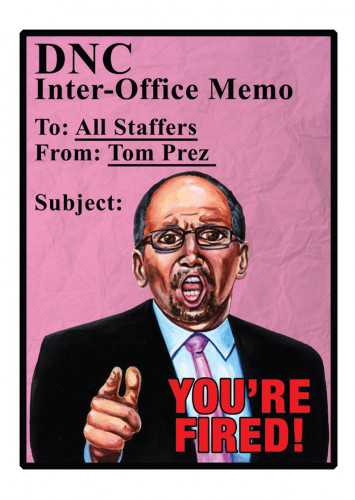 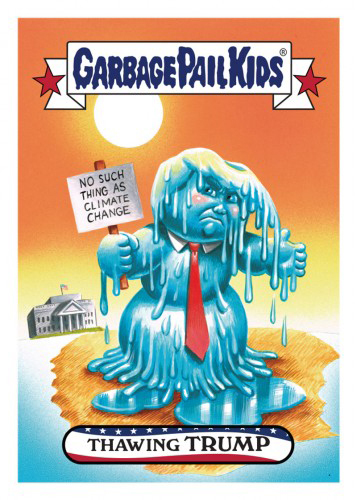 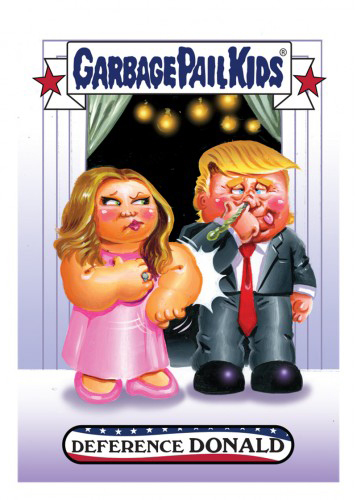 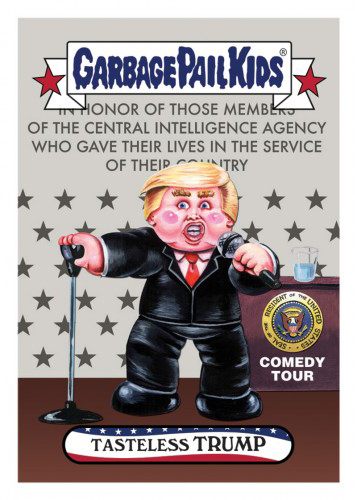 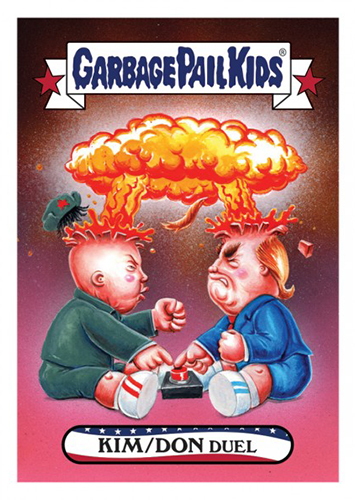 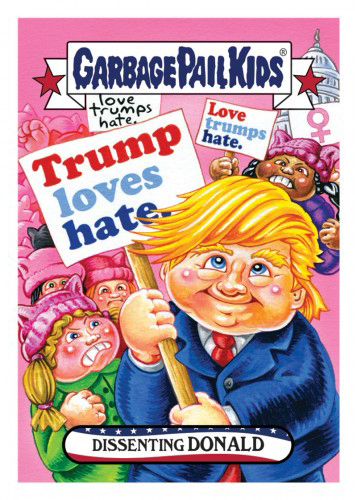 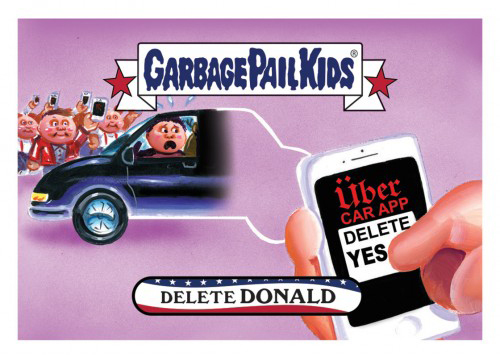 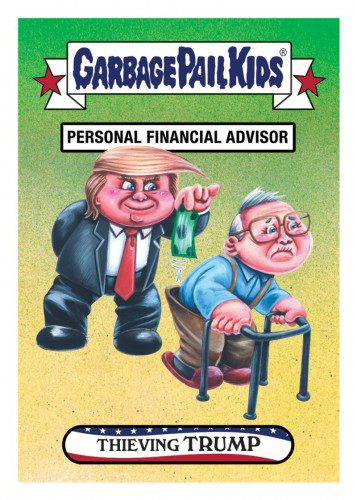 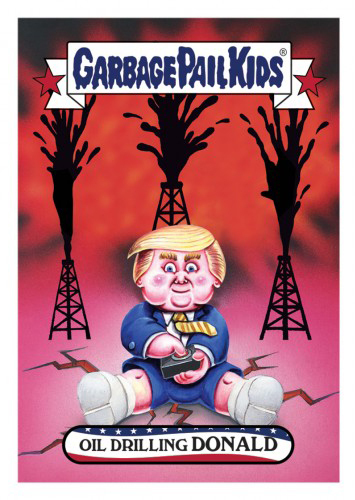 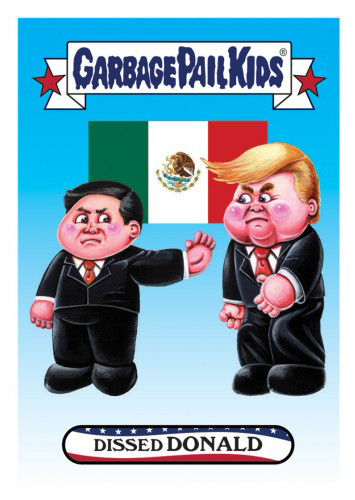 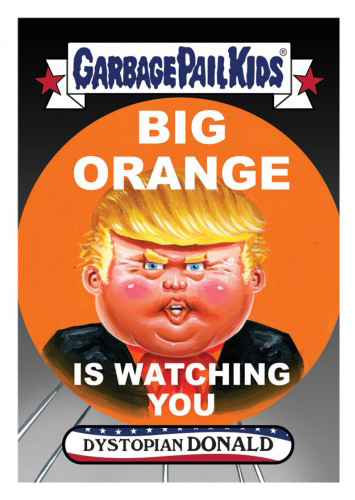 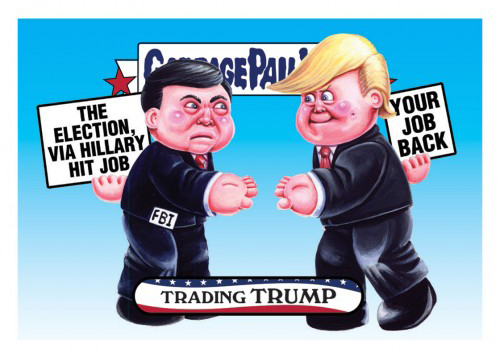 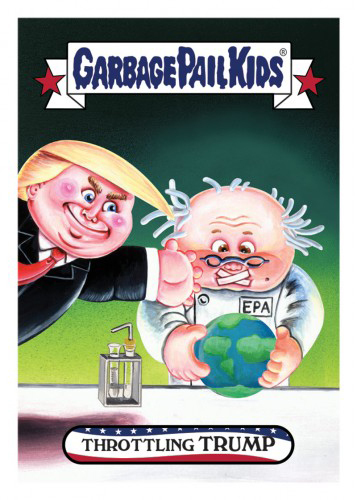 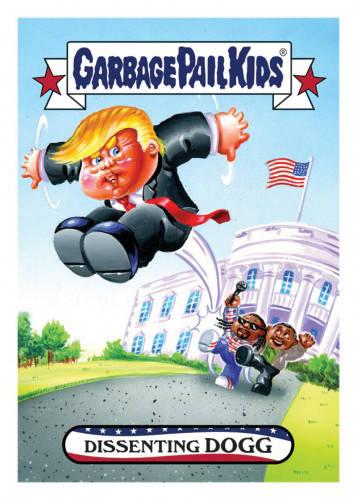 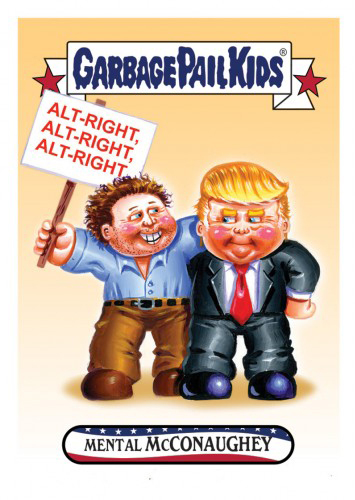 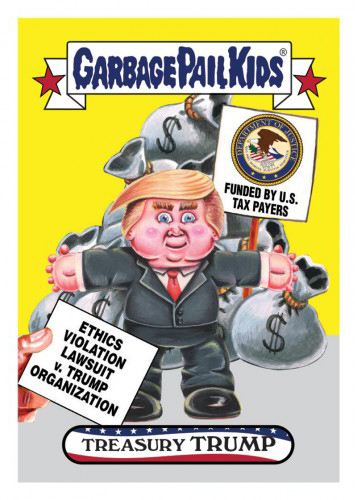 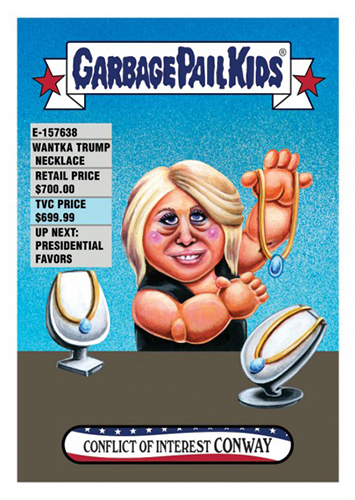 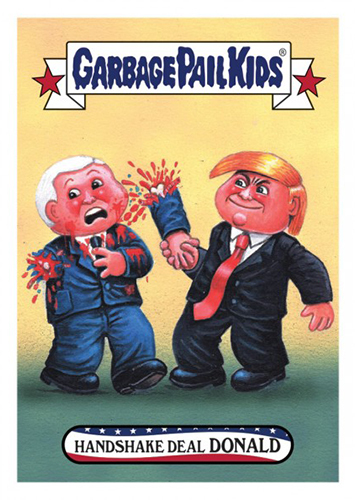 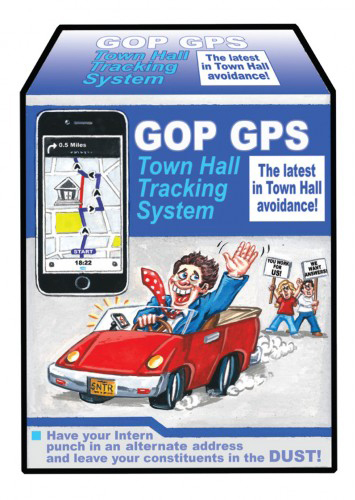 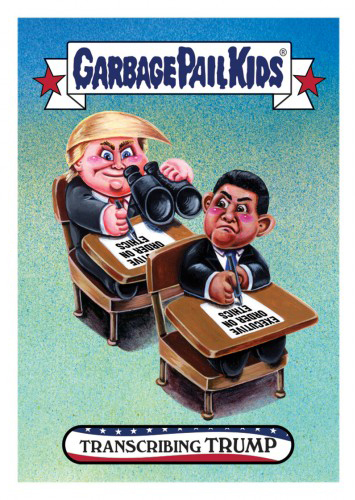 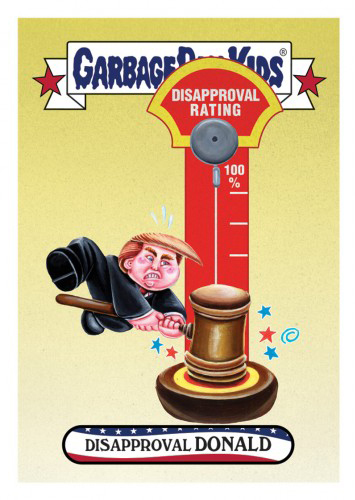 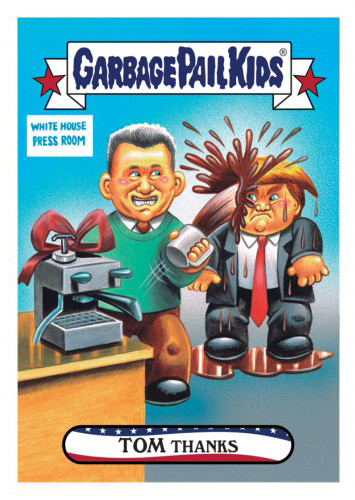 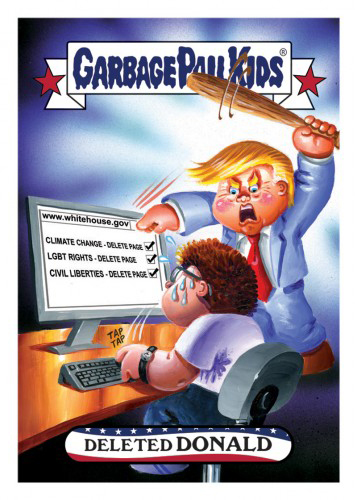 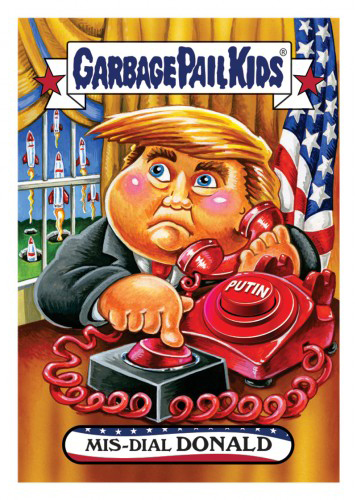 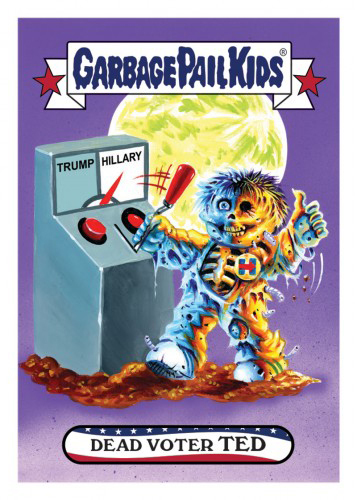 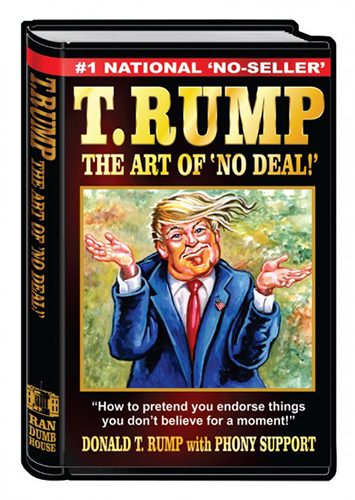 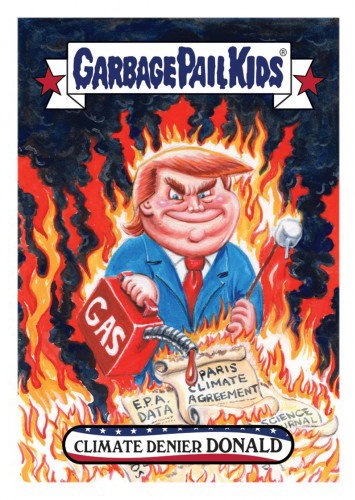 It continues with 2017 Topps Garbage Pail Kids Trumpocracy, a similar line of online offerings that satirize the 45th President’s first 100 days in the White House. 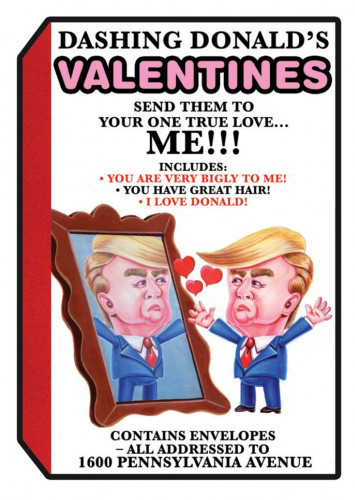 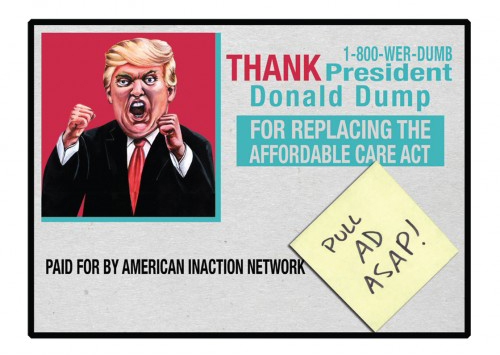 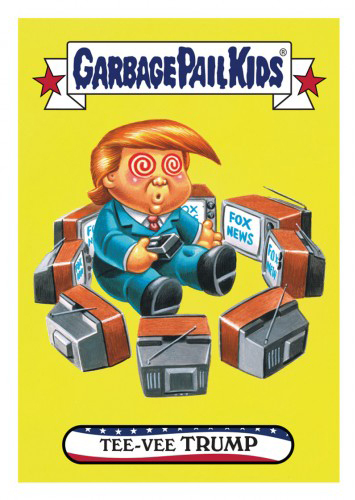 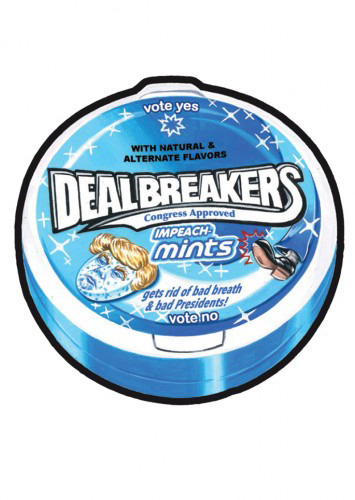 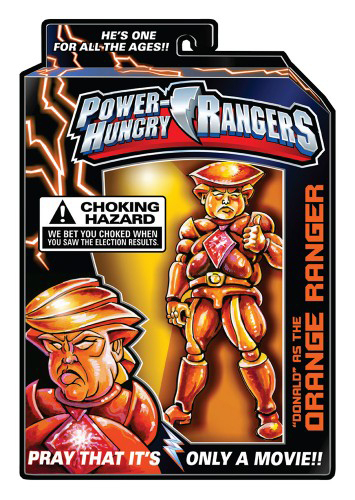 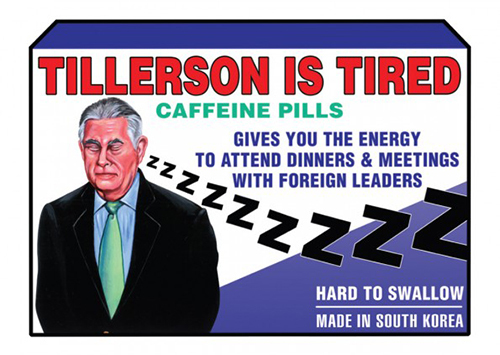 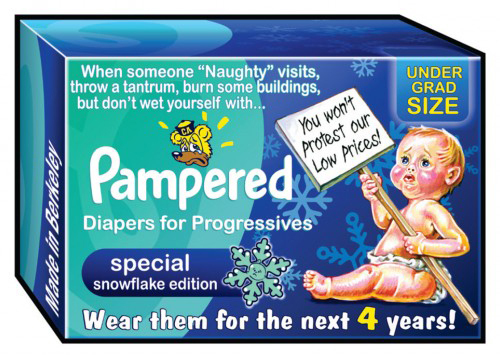 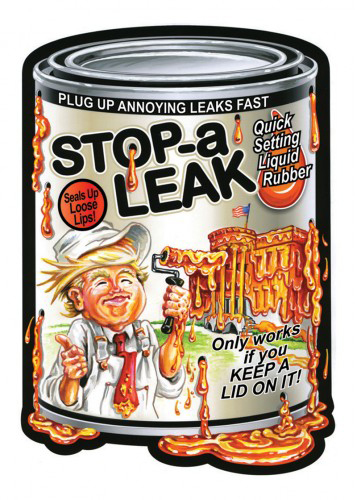 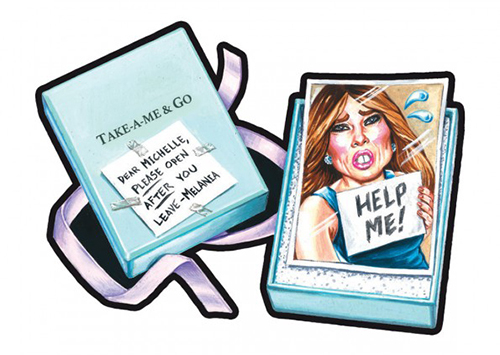 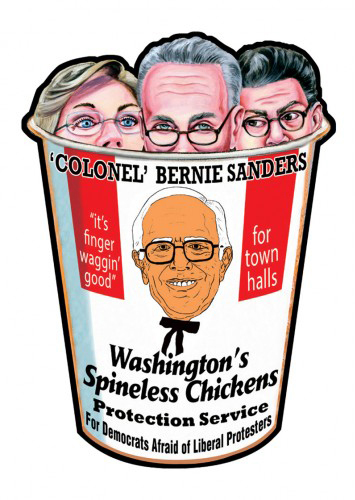 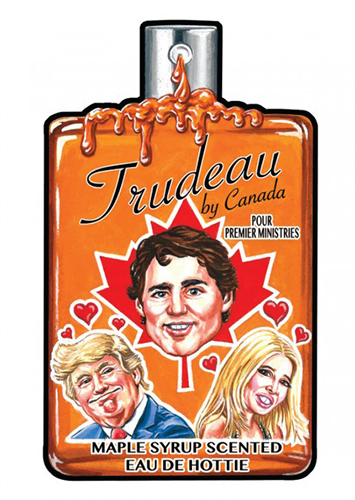 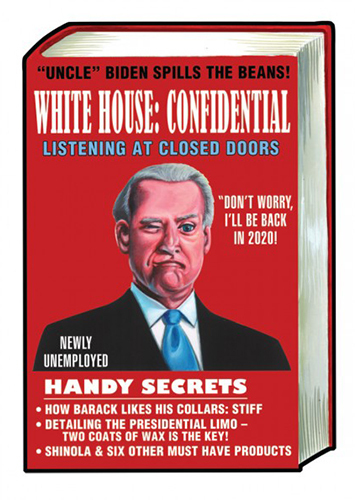 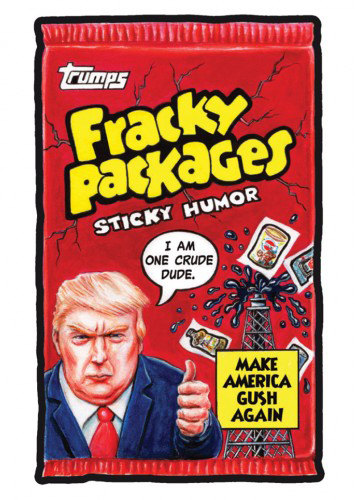 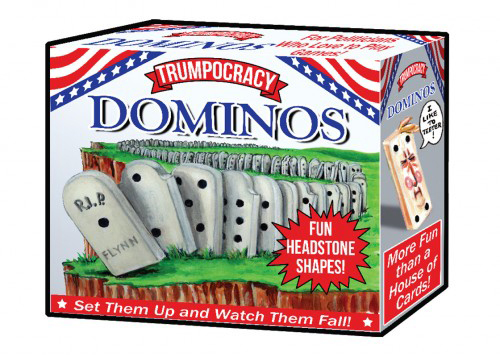 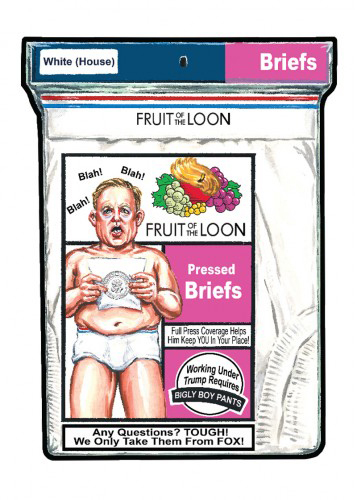 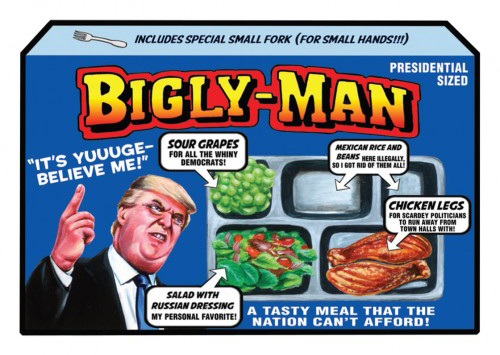 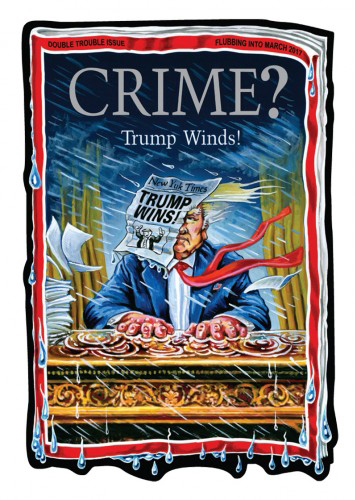 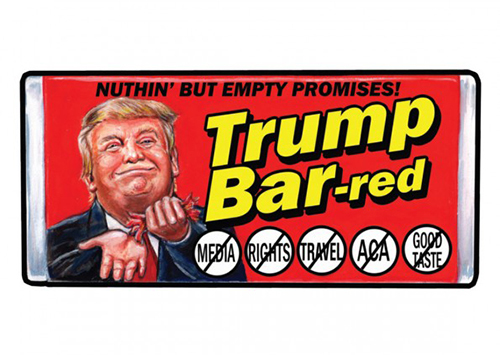 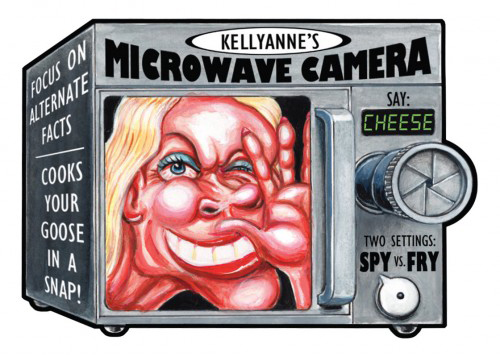 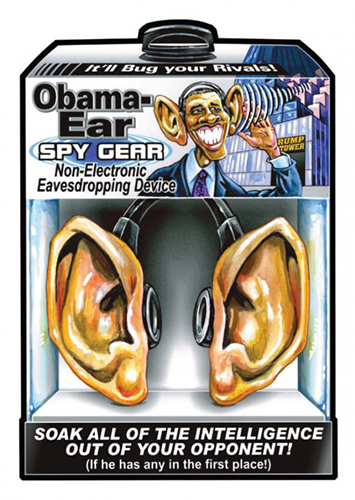 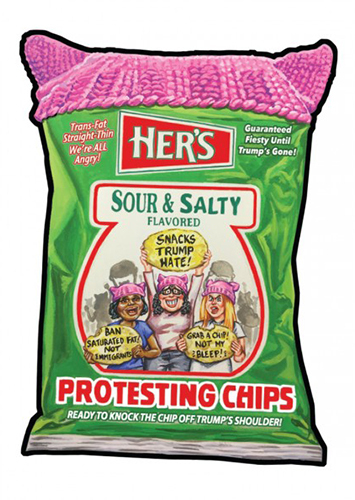 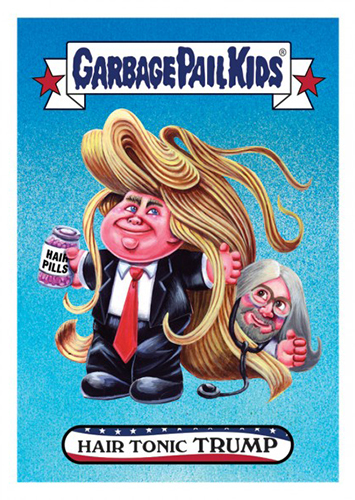 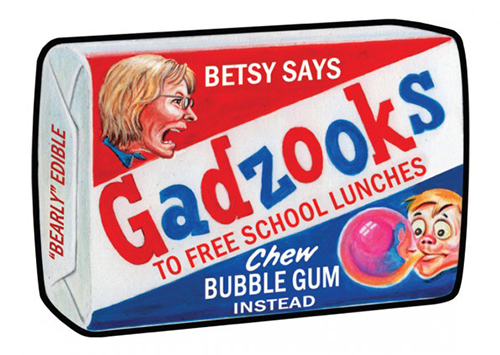 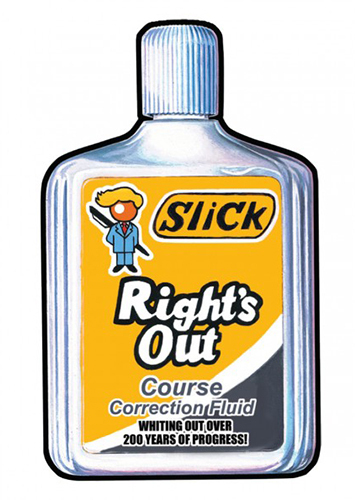 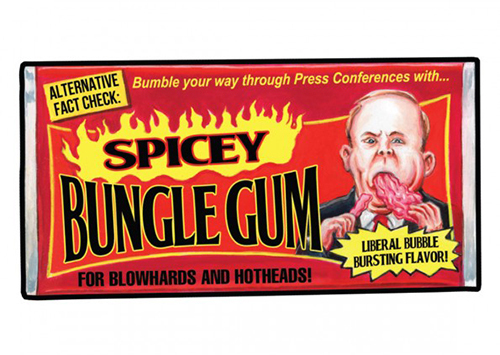 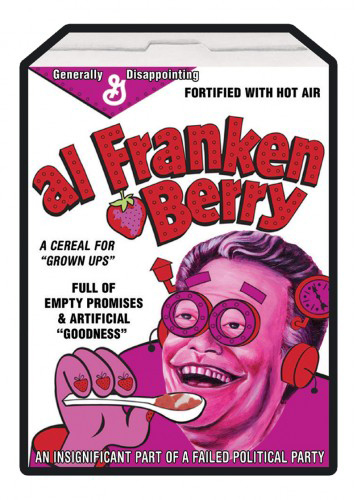 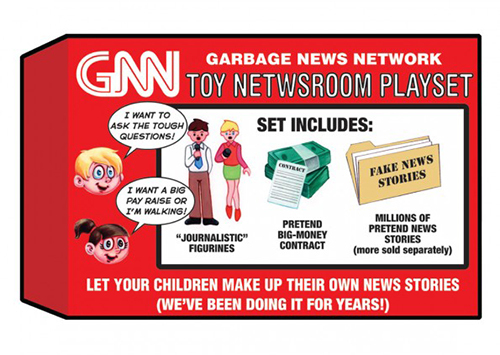 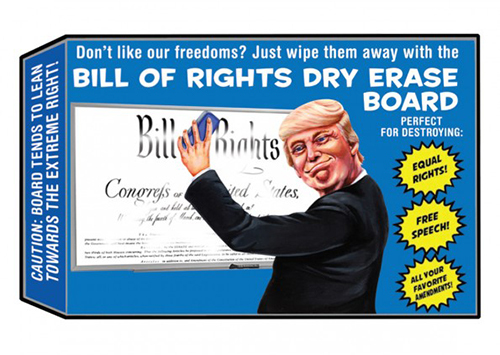 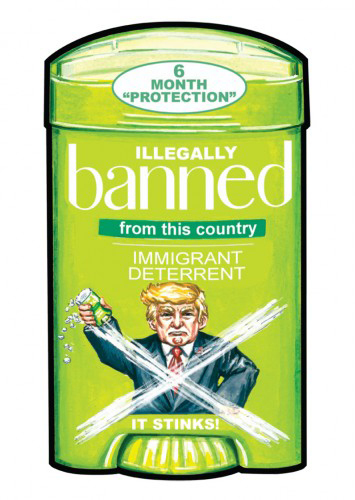 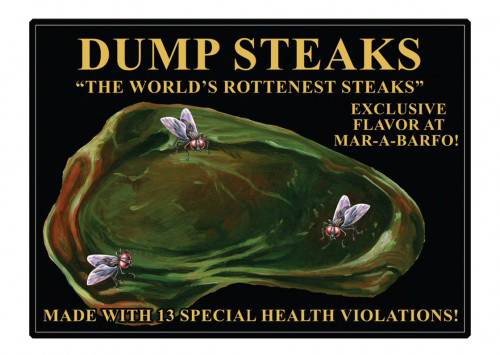 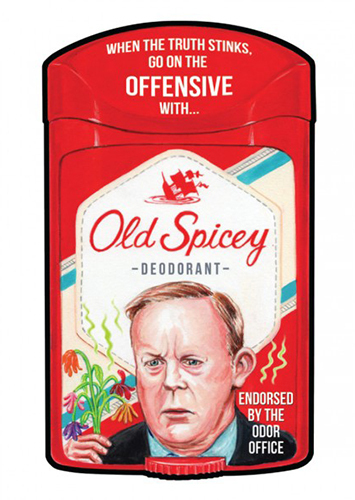 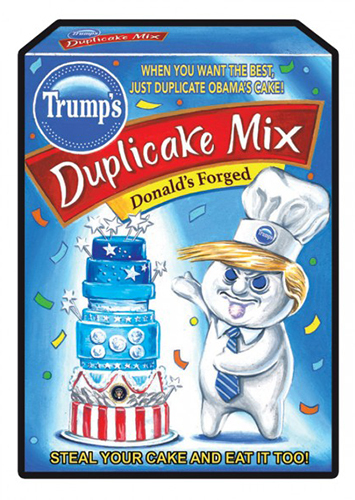 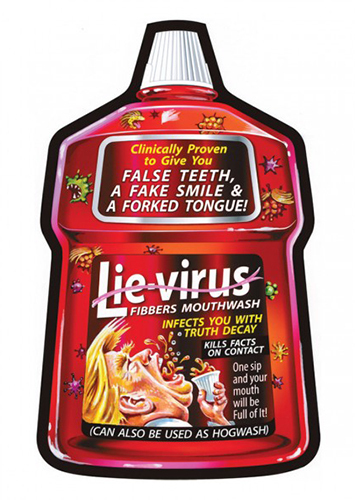 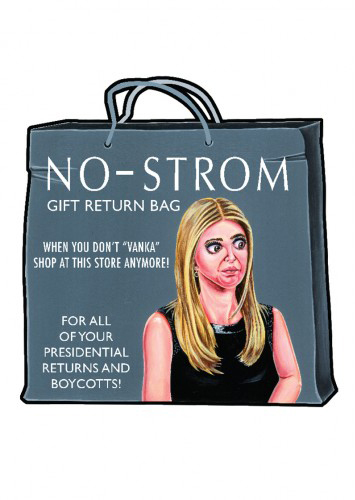 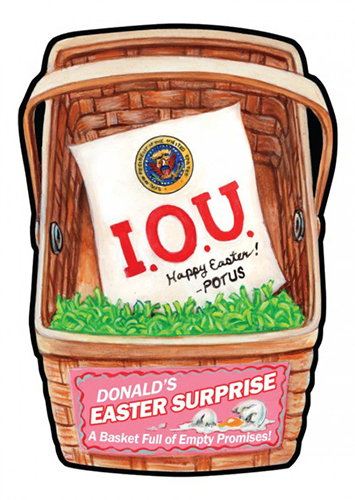 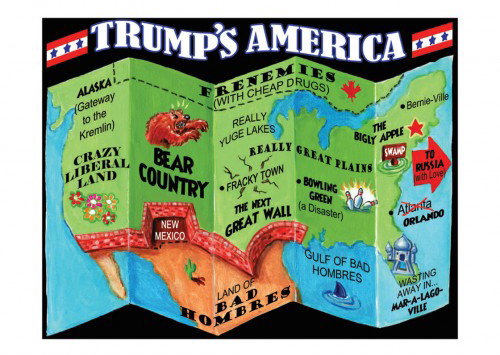 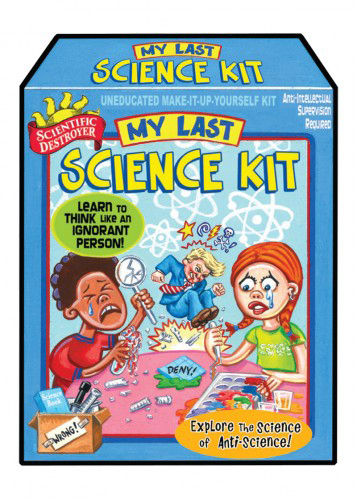 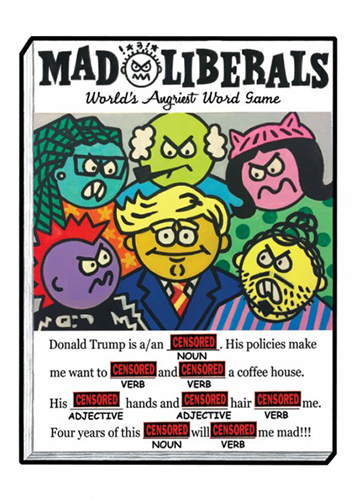 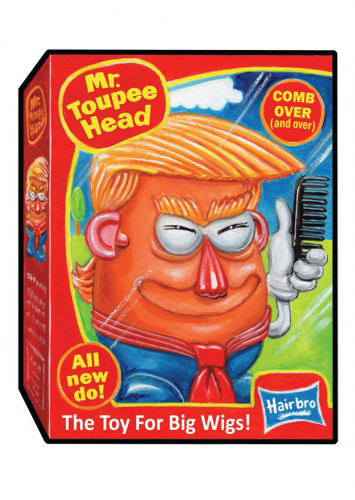 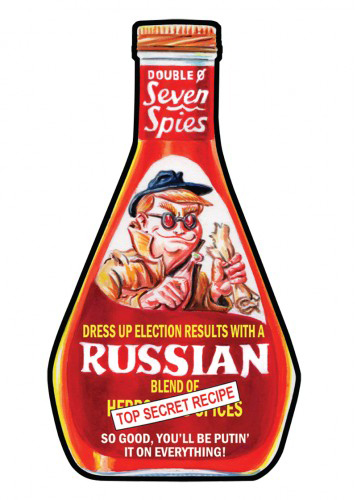 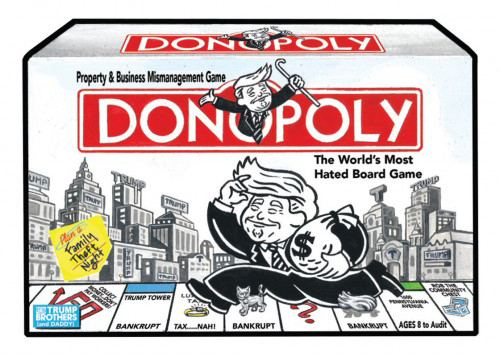 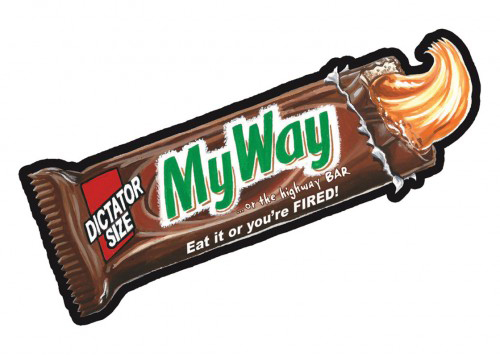 Despite there being a separate set of online Wacky Packages released at the same time, it didn’t take long for these to be added to Trumpocracy as well. 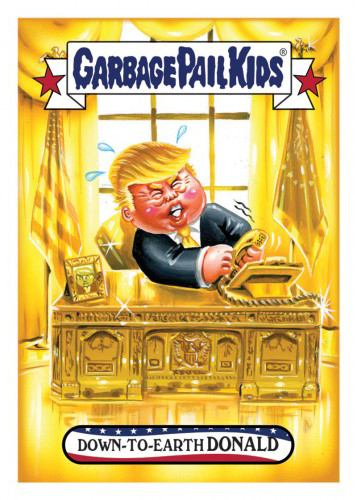 Cards are available through the Topps website for 24 hours a piece. 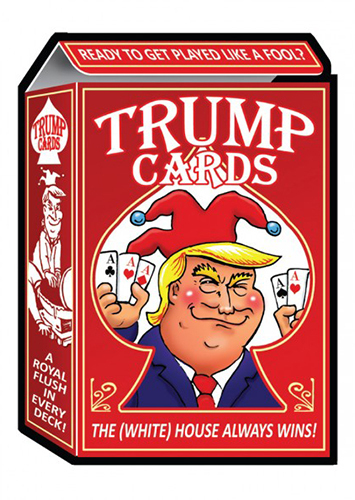 The cost for individual cards is $9.99 although there are also bundles on days when multiple cards are released. 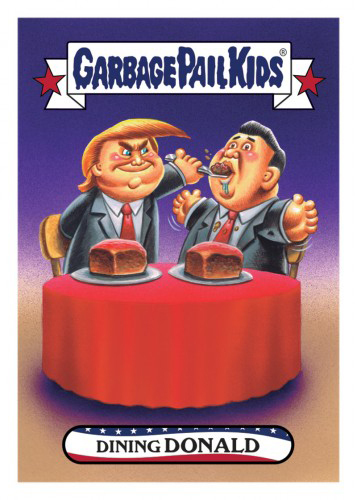 Bulk discounts are also available for those looking to buy individual cards in quantity. 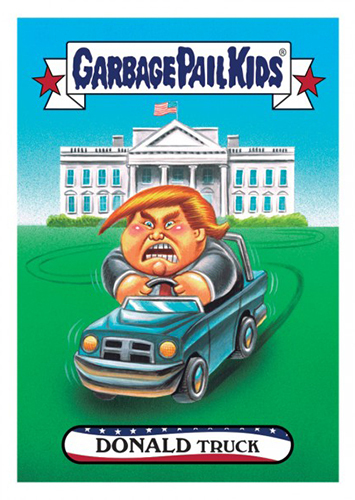 All cards are printed on demand after the sales window closes. 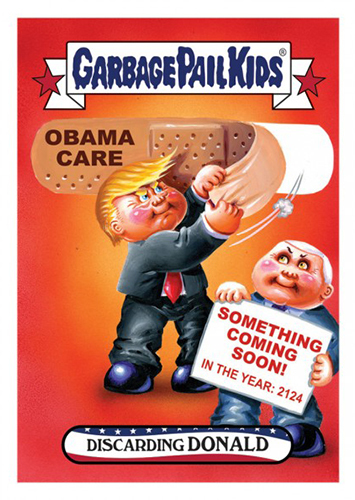 That means some will be more readily available than others. 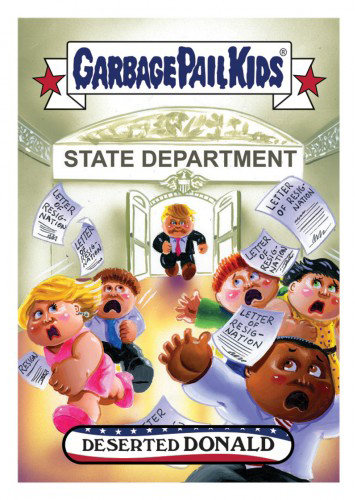 We’ll keep adding to the list as more cards are put out. 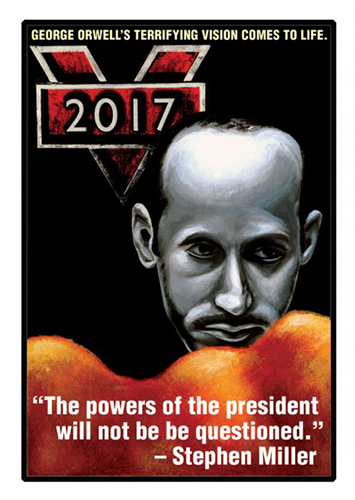 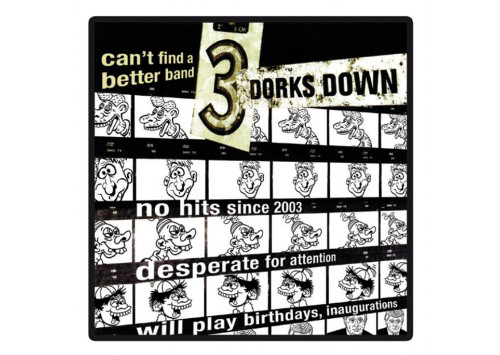 Release dates are also noted (as will print runs when they’re confirmed). 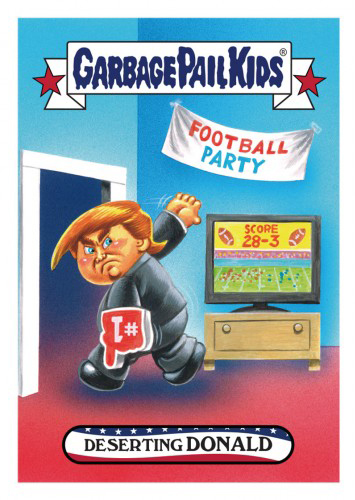 Missed a card? 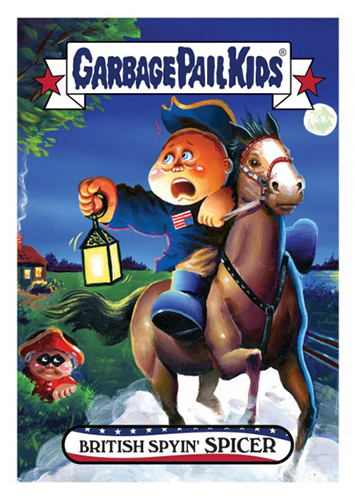 Click on the link to see what’s available on eBay.